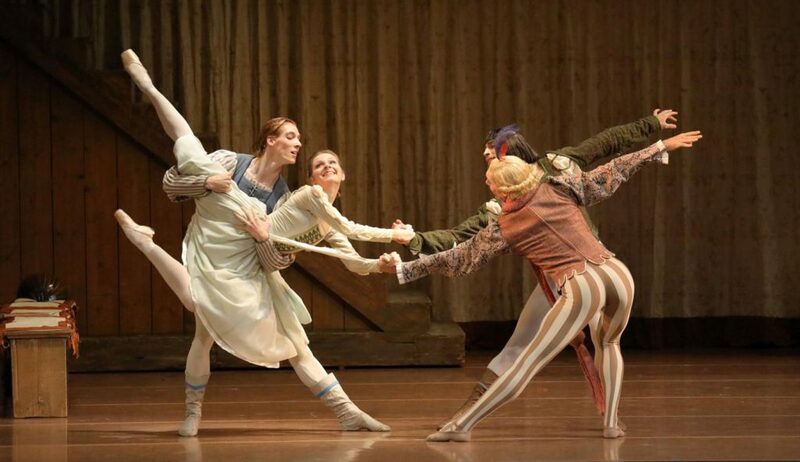 Cranko’s characterization of the figures follows Shakespeare’s comedy closely. We are in Padua in the 17th century. Poor Baptista is kept in suspense by his two daughters. No less than three suitors buzz around the pretty Bianca like bees around the honey pot, but her older sister, the strident Katherina, fights getting married tooth and nail. Bianca is not allowed to marry until Katherina is wed, declares Baptista unceremoniously. But how to marry her off? By accident, Bianca’s suitors – Lucentio, Hortensio and Gremio – run into the young Petruchio and recruit him to court Katherina. Petruchio’s unorthodox methods indeed soften Katherina’s petulant character. Both embark on a happy marriage. The other three men finally tie the knot as well, but their prospects on domestic bliss seemed less rosy. 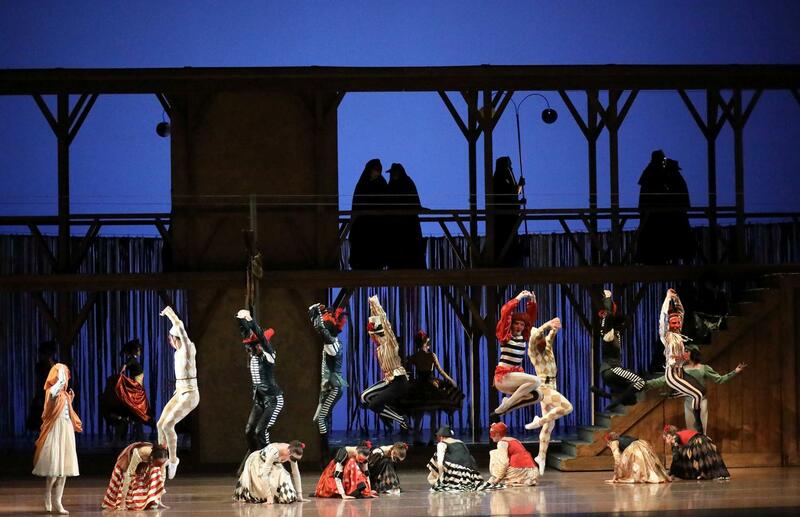 Cranko’s “Shrew” is a romp abundant of humor and jokes on top of plenty of dance. Generally, one could criticize the story as being misogynistic, but Cranko’s version isn’t. Every scene, even Petruchio’s crudest ideas of how to tame his wife, has warmth and is performed with a wink. Does Katherina’s dress match the yellow of the only bunch of flowers – sunflowers – in Baptista’s house by chance? Or is she in fact the family’s source of vitality? Jürgen Rose’s set and costume designs are gorgeous. Only the dishes at the banquet, which Petruchio meanly withheld from his newly minted wife, were too obviously made of plastic and his fur cape at the wedding brand-new rather than shabby. The musical potpourri Kurt-Heinz Stolze arranged from sonatas by Domenico Scarlatti matches the turbulences onstage. It was played by the Bavarian State Orchestra conducted by Myron Romanul. “Shrew” can be hilarious. There are several reasons why it wasn’t thoroughly so. In group dances the corps hardly ever built a unity, but was an assemblage of individuals or pairs trying to be in sync. It’s the beginning of the season and almost half of the dancers depicting townsfolk, guests of both the carnival party and the wedding, or bridesmaids are new in the company. It will take months to mold them into a coherent group. Javier Amo portrayed the old Gremio whose nose was chronically running. Amo, too, looked as if this role wasn’t his. He had been a stunning White Rabbit in “Alice in Wonderland,” but had difficulties to get into the spirit of an effeminate pansy in baby pink attire with richly applied pink blush, blue eye shadow and a feather tuft on his curly blonde hair. Gremio was hooked by the other prostitute of the town (Séverine Ferrolier), a platinum blonde, with a thick head of curls and limited intellect. Smart Lucentio was portrayed by Jonah Cook. Cook is a fine dancer, but instead of trusting his talent and allowing himself to let go, he seemed eager to do things right. He looked discontent at the curtain call – but why? Elizaveta Kruteleva’s Bianca was kind, nice, youthfully charming, but harmless compared to her dominant sister. 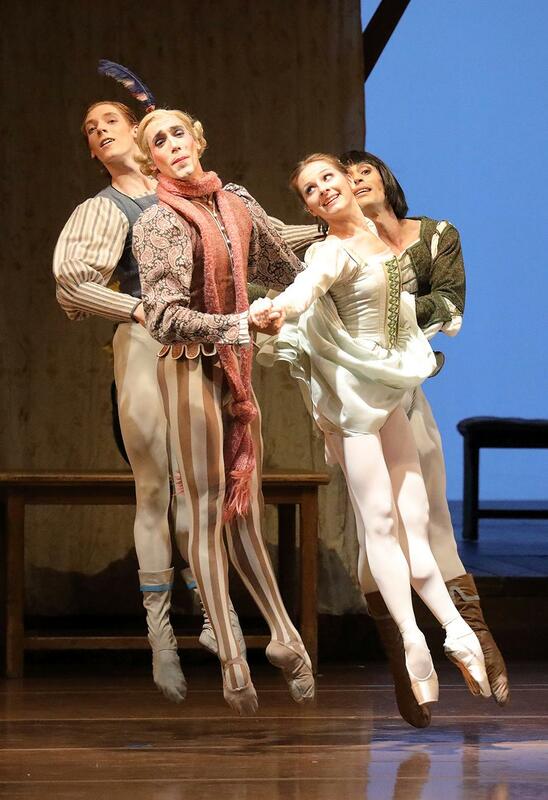 Kruteleva’s dance was as lightweight as Bianca’s personality. The moment Katherina (Natalia Osipova) set her foot onstage, everything belonged to her – the space, the floor, the energy, the attention. The harmony of Bianca’s romance with Lucentio was so polished that it became banal, and the sweet smile of both couldn’t belie that their relationship radiated little passion and love. Osipova’s Katherina reigned the stage in every aspect. Her stomping (on Lucentio’s foot, for example) was firm, her kicks (towards Hortensio’s jaw amongst others) unerring and the (meager) bridal flowers – a single lily stem – were a suitable weapon. Katherina swung her skirt like a Spanish shrew spitting fire. But watching how her frown wrinkles smoothed out, her slanting glance wandered towards Petruchio, her body melted and how she fought hard not to smile it was clear as daylight that she had fallen for him. Playing obstinate and quarrelsome turned into a challenge. Osipova’s temperament won the audience over, and the fun she had was infectious. 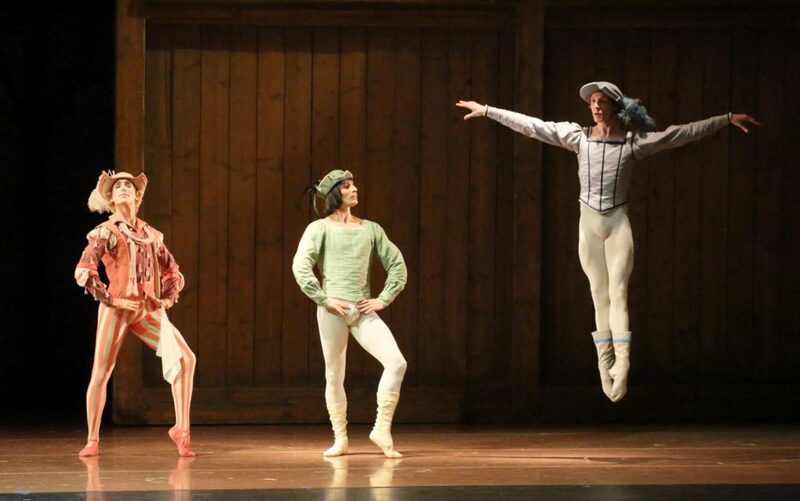 Polunin performed with varied intensity. While he put only moderate effort in a few scenes he hit the accelerator in the following ones dashing across the stage like greased lightning. His Petruchio played the macho who was above it all, while basically he fell for Katherina hook, line and sinker. The air between both crackled with emotions; both visibly enjoyed dancing together. 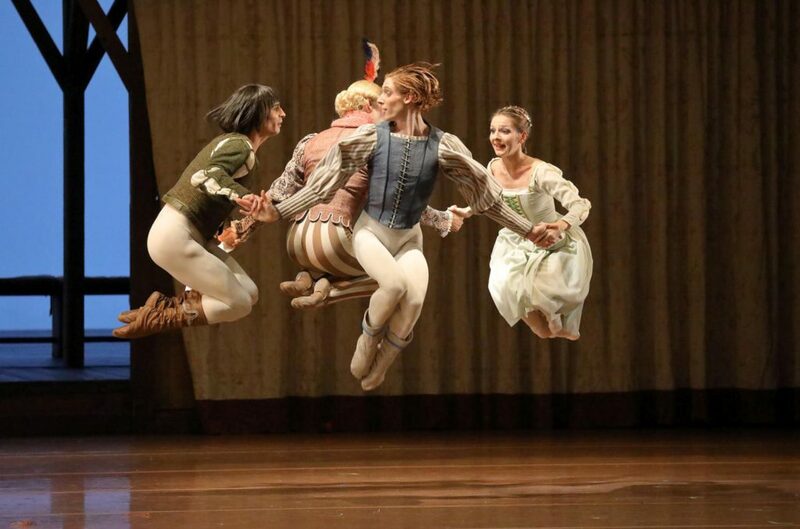 In one of the most amusing scenes Petruchio, always loving to have a lark, instructed his attendants (Konstantin Ivkin, Dustin Klein, Nicholas Losada and Stefano Maggiolo) how to behave towards Katherina. One had to mark a fool, two fidgeted and hopped strangely around, the forth mimed a severely hampered humpback. The bunch of freaks was second to none. It was no big deal that a lift in one of the final pas de deux of Osipova and Polunin failed, but given some readjustments at other moments and almost imperceptible safeguarding grips during partnering I wondered if there was sufficient time for rehearsals. 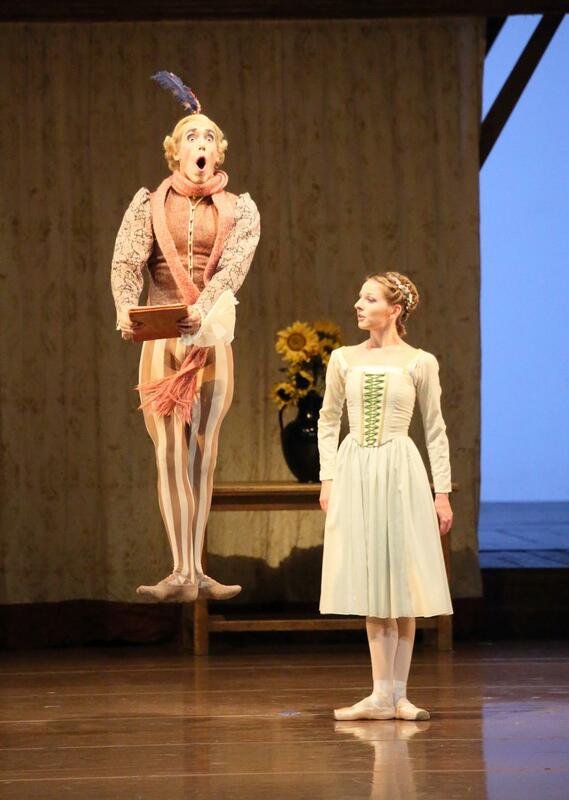 Polunin, moreover, hasn’t been able to maintain the superb level he once danced on. Whether this is all right or regrettable is up to him. He knows wherein his vocation lies. 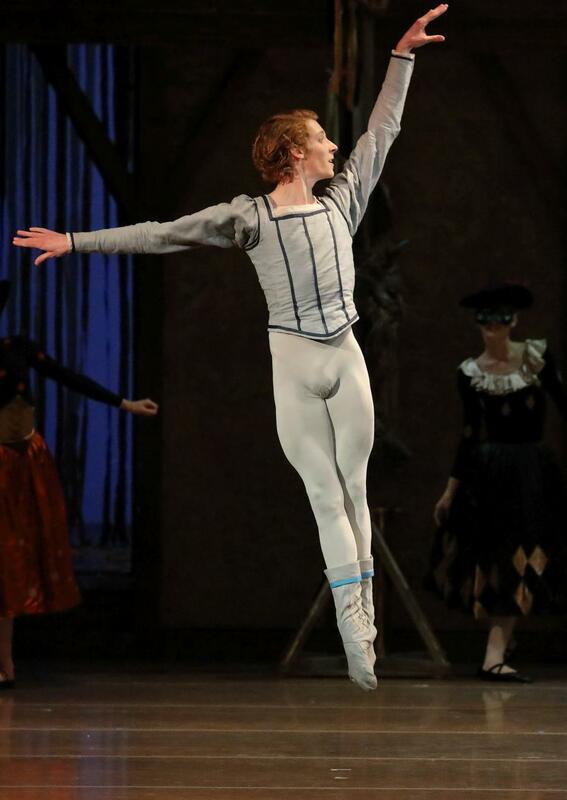 In any case the Munich audience cheered at his and Osipova’s performance. In supporting roles Peter Jolesch was the sorely afflicted Baptista and Vladislav Dolgikh the priest. Tall Dolgikh, outfitted with metal-rimmed glasses and a blonde wig with thin hair, gave a side-splitting show. Unswerving towards the impertinence of his flock he sealed marriages with the sign of the cross in stunning speed.